Our team members at ProSource® of Springfield have helped trade professionals and their homeowner clients with a broad scope of home flooring projects. Our job is helping you find your client’s perfect flooring, whether that’s carpet, hardwood, laminate, tile or vinyl. Luckily, our selection of all those flooring products is huge. 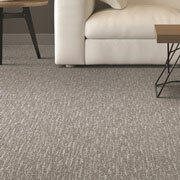 At ProSource of Springfield, we know flooring has two main purposes: functionality and decoration. We want to be a part of the process that connects your client to their perfect flooring fit — one that makes sense for their everyday lifestyle, their personal design preference, and most importantly, their budget. ProSource of Springfield proudly boasts a broad selection of carpeting options for any client’s home style: modern, minimalist, traditional, minimalist and more! Our showroom has many different carpet styles, ranging from plush to frieze (shag), in many different colors — all from brands and manufacturers we trust most. 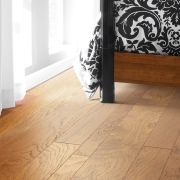 Hardwood is a go-to pick for a good chunk of homeowners thanks to its durability, beauty and versatility. Our hardwood at ProSource comes in many different color finishes, wood species and gloss levels to match the exact look your client is going for. Laminate flooring is an economical option of flooring that is most commonly used to replicate the style of hardwood, but for a much more affordable ticket. At ProSource, our laminate recreates the appearance of woods like maple and hickory with light to dark finishes. 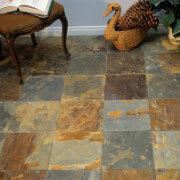 Tile flooring is most commonly seen in high-traffic, spilling-prone rooms of the home, as it makes for easy cleanup. But tile is also an easy way to add elegance and style to a room. We offer tiles made out of materials like ceramic, porcelain and stone, and our team can connect you with the best type of tile that suits your client. 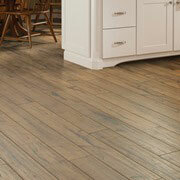 Vinyl flooring can be used to resemble hardwood or tile flooring, but for a much more budget-friendly price. 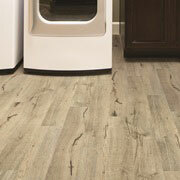 It comes in many different colors and types, such as luxury vinyl tile and engineered vinyl plank, to name a few.